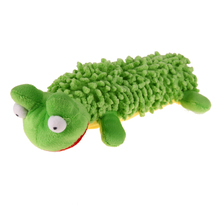 Ideal gift for your loved pet as a toy. The lovely animal pattern design will attract your pet to play with it. 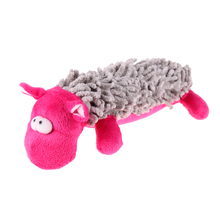 These soft plush pet toys will be a good choice for any pooch who loves the crowd. It will bring your dog great for fun and entertainment. It is soft, cuddly, and totally delightful. There may be 1-3mm of size deviation due to manual measurement. There may be a little color difference due to display pixel and light.